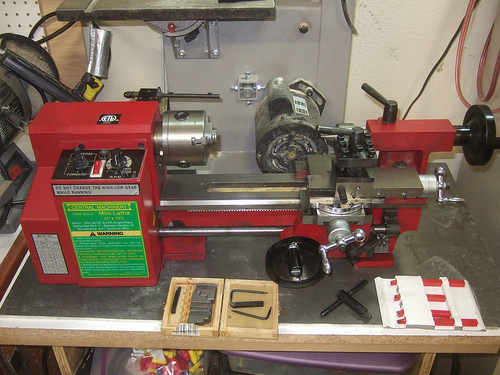 Bought this Harbor Freight Lathe 93212 from a guy on craigslist for $200. He also included a extra set of gears and some cutting tools. There is a part that is broken that he did not mention, the Leadscrew Support. Good thing it only cost $3.95 for the replacement part. Other than that everything seems to work great.